We focus on results and have a proven track record of improving SEO rankings on Google. You can rest assured that your SEO strategy adheres 100% to Google’s best practices at all times. What Does Your SEO Service Include? 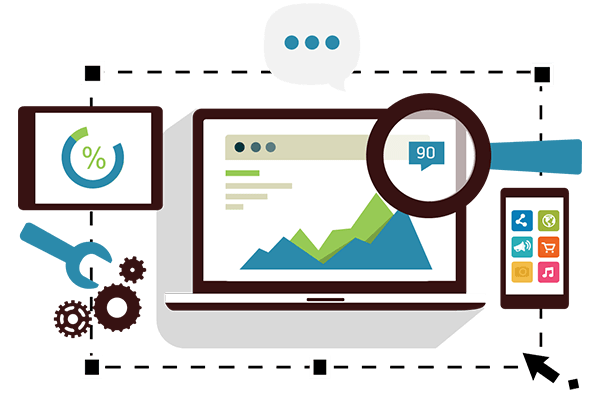 During the first few months we will complete a full SEO audit of your website and identify problems that are preventing your website from ranking more prominently on Google and other search engines. Once these problems are fixed, your ranking on Google will improve, which will result in more traffic to your website and ultimately more enquiries. We will then provide you with a document listing the SEO website changes required and can liaise with your web developer to ensure the changes are made correctly. If you do not have a web developer we can arrange for the website changes to be made by one of our preferred web developers. Monitoring of search engine visibility and ranking. Details of website changes required as a result of search engine algorithm changes, competitor changes, etc. We also offer Google Ads management and social media marketing to get your business maximum exposure online. which means that we are certified to manage Google Ads accounts and we follow Google’s best practices. Have a look at our customer testimonials and you’ll see that our clients love us and will testify to our ethical and transparent approach to managing Google Ads accounts. We want our clients to work with us because we’re getting great Google Ads results for them, not because they have a long term contract with us. We’re not a huge agency and don’t plan to be, we’re a small team of internet marketing specialists that offer a personalised serviced and prefer to work in partnership with our clients. We are committed to ongoing training and R&D to stay on top of the ever-changing world of search algorithms. We’ve even been known to travel to Seattle to make sure our research is current! Great results is what motivates us so every month you will receive a detailed report showing you what SEO results have been achieved, including rankings, website and most importantly – how much revenue did SEO generate for you. Our reports are tailored to your needs and aren’t just printed from 3rd party tools!